My Lord! A tribe of game alchemists have created PUREST NOSTALGIA! A wonderful homage to Peter Molyneux’s Populous, Reprisal is a whole bunch of world-shaping, god-playing, tribe-slaying, pixel-worshipping, chiptune-blaring fun. I played Populous as a child, when Bullfrog were a force to be reckoned with. I was too young to really appreciate it as a game, but the sandbox concept – one of the earliest examples of the form – was endlessly fun. Build! Flatten! Destroy! Wheee! 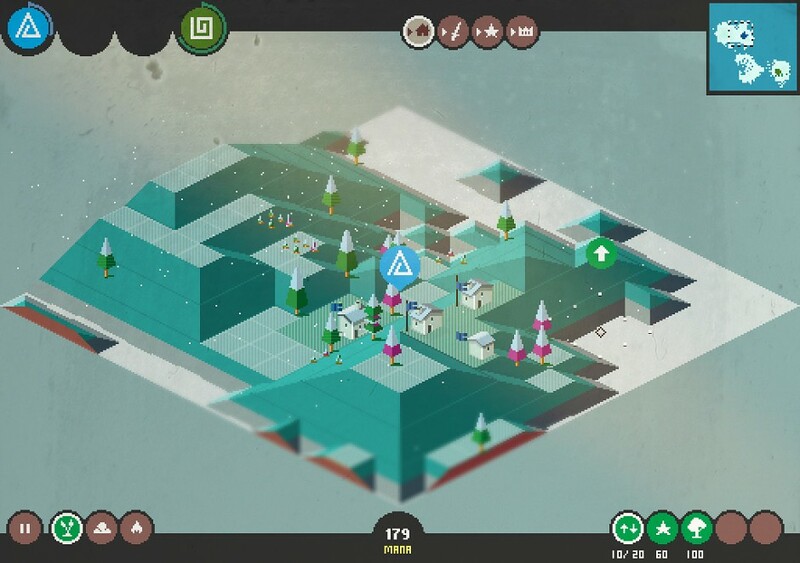 In later years I’d look back and feel a little bit of regret that I never got a chance to engage with the game properly, but now, thanks to Reprisal I have a sort of second chance. I’ve only played a half hour or so, not even through the tutorial – and tutorials are almost younger than Populous, a scary thought – but the game is utterly delightful. From the extreme pixel graphics to the simple controls, from the charming retro isometric perspective (press right to move diagonally!) to the chirpy chiptune soundtrack rooted well and truly in the last century, the game is nostalgia itself. And it’s free. Download it now before they realise they’ve made a horrible mistake. They’ll even throw in the soundtrack, for heaven’s sake. At the time of writing I’d just acquired the ability to set things on fire. If you’ll excuse me, I’m going to go back to Reprisal and do that until the voices tell me to stop.